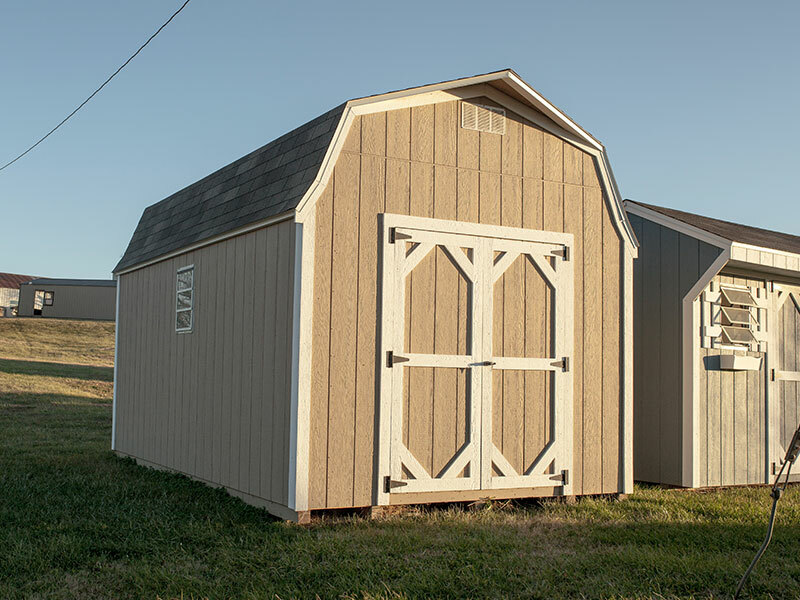 With a wide variety of available sizes and the option to fully customize your shed, these barn-style wood sheds are impressively flexible. 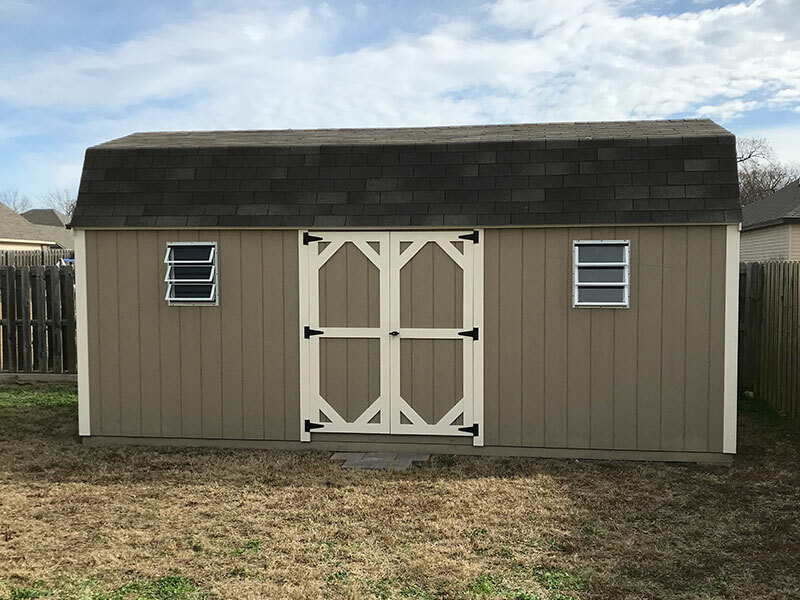 Whether you are needing sheds for general storage space, a tool shed, a home office, or a vacation cabin, you’ll be able to make a barn shed work well for you. 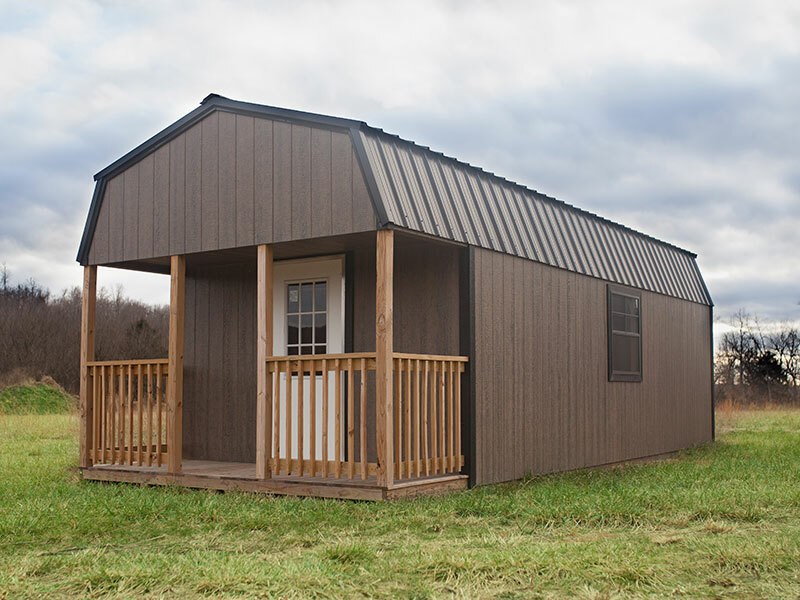 Adding a porch is a popular option, turning your shed into a beautiful cabin. 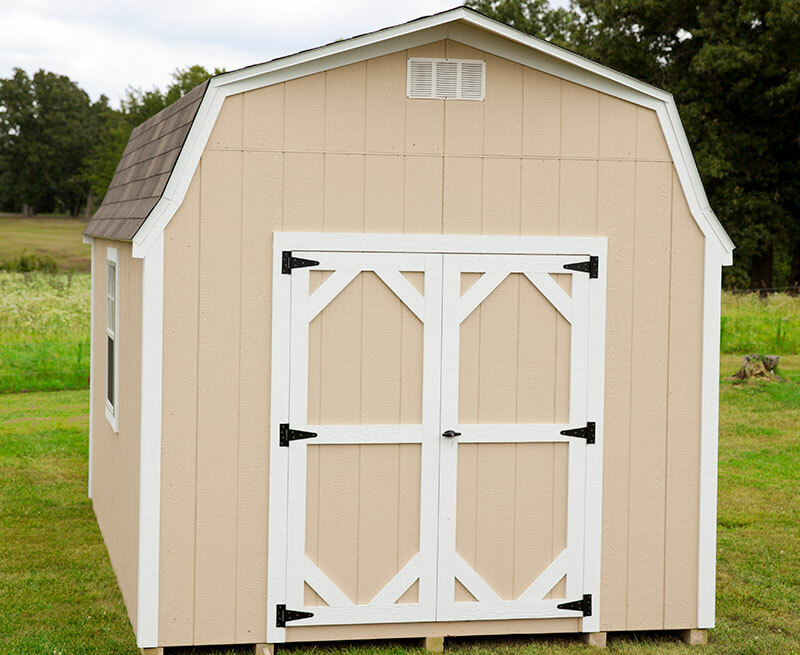 These wood sheds come standard with one loft and a set of double doors. 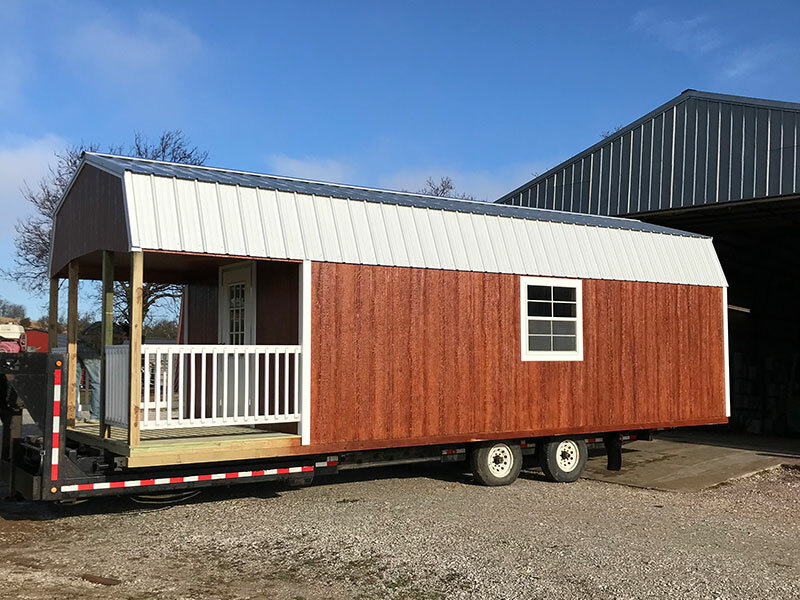 Add-on options include windows, a garage door, 36” entry door, and ramps. 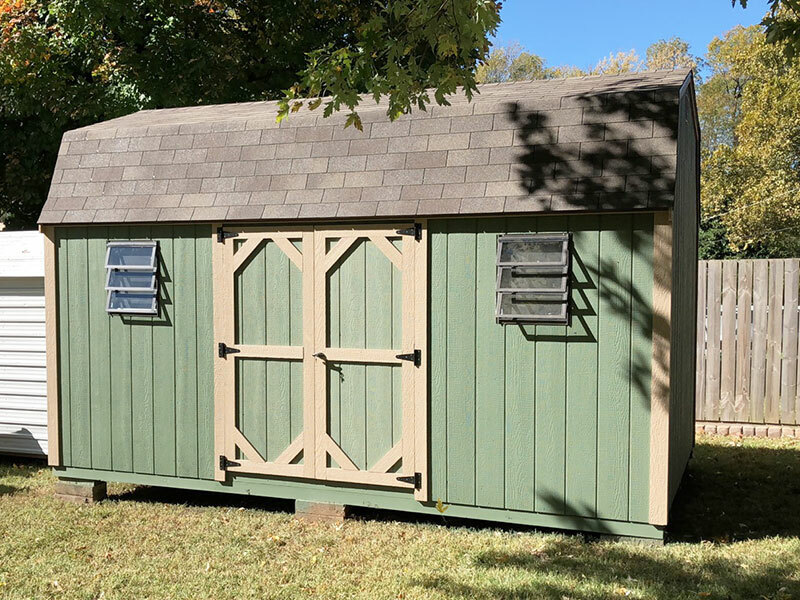 Our Wood Barn-Style Shed Can Be Delivered To You For As Low As $2,147. 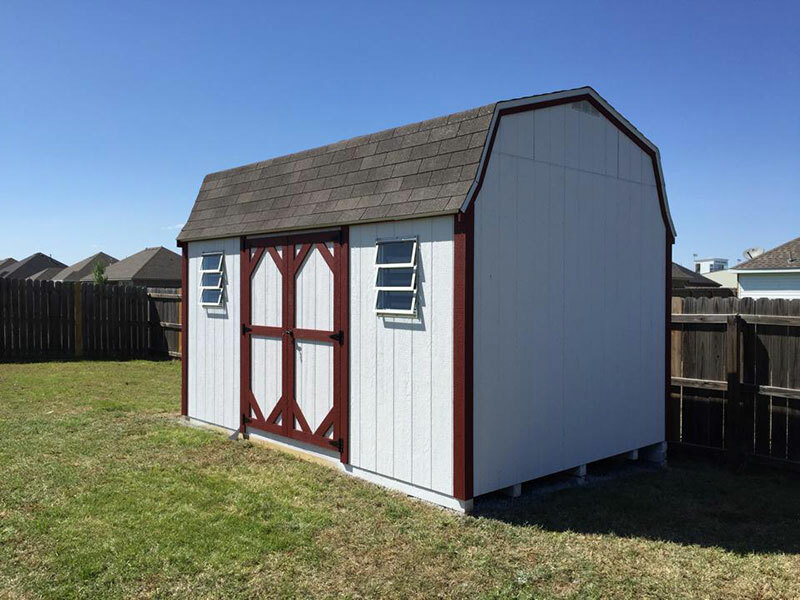 Do you need storage space soon but don’t have enough money saved up to buy a shed up-front? Good News! You don’t have to throw your many away by renting a public self-storage unit. 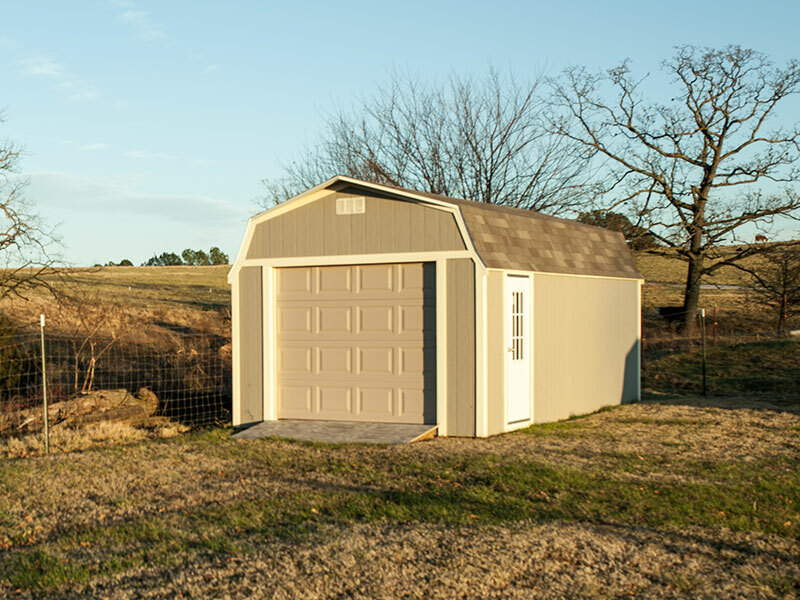 With our rent-to-own program, you can store your items on your own property for a monthly payment that is similar to the cost of a storage unit. And you are getting a shed to show for those monthly payments. It seems like a no-brainer, right?